In lieu of Run for the Horses this year, (Endurance Race), Biltmore is generously allowing Hope for Horses to host a West Range day ride to help raise funds on September 17th, 2016 from 9AM to 4PM. The West Range of Biltmore is only open to the public a few times a year so this is a great opportunity to enjoy your horse while supporting our worthwhile cause. 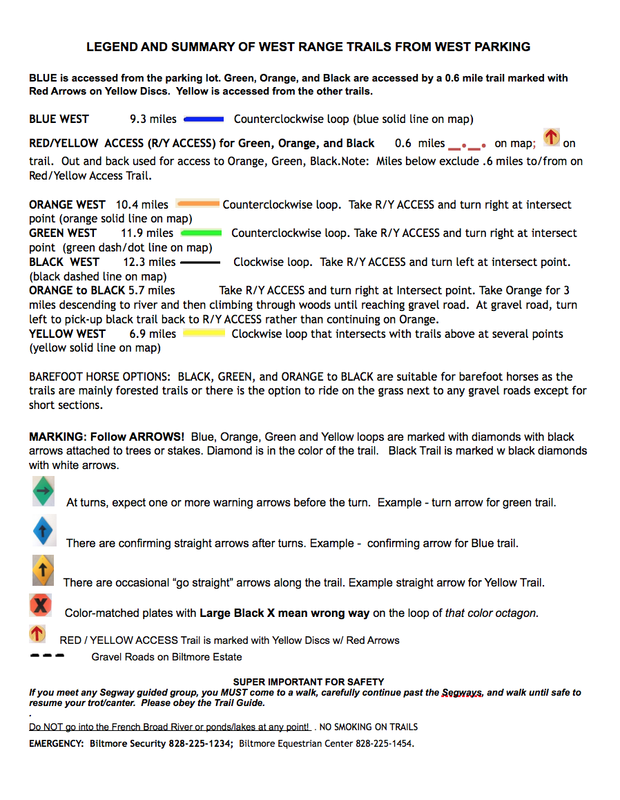 Riders will be able to park directly on the West Range and have access to the trail system with over 50 miles of permanently marked trails on 6 different loops ranging from 6 to 13 miles. 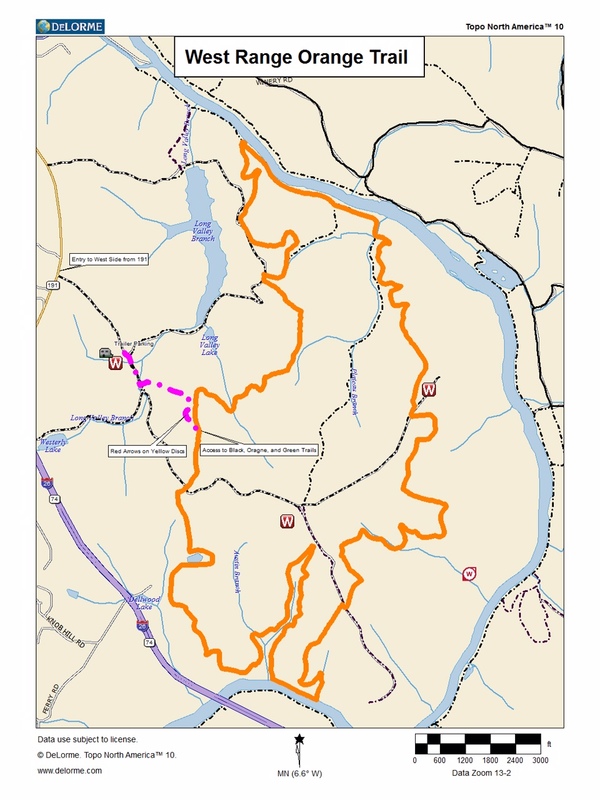 These trails go through a vineyard above and around a lake, beautiful farmland, and forests with awesome views of the French Broad River valley and the Biltmore House. High mountains including Mt. Mitchell and Mt. Pisgah can be seen in the distance. Riders may arrive at 9 AM and do any combination of loops as long as they are finished by 4PM. Some trails are suitable for horses without shoes. The price is $45 and entry is on day of the event. Light refreshments will be offered and there is water on trail and at the parking area for your horses. There will be door prizes and some silly competitions/games during the day. Please contact Hopeforhorses@aol.com for more information or call 828.683.0160. Unfortunately, Hope for Horses will not be having our annual 'Run for the Horses' Endurance Race this September. Please read the letter written below by Melonye Trivett of Biltmore. Further, Biltmore will be matching budgeted revenue from the event via donation which is beyond generous of them and very much appreciated by Hope. In lieu of the Endurance Race, we are looking into having a 'Enjoy the Fall Colors' ride on the West side sometime in October; that date to be determined soon. Please stay tuned to our Facebook page and/or web site for updates. We will miss the excitement of the ride but we will be back in September 2017! Thank you all for being a part of supporting our mission to aid unwanted and neglected equines across WNC.